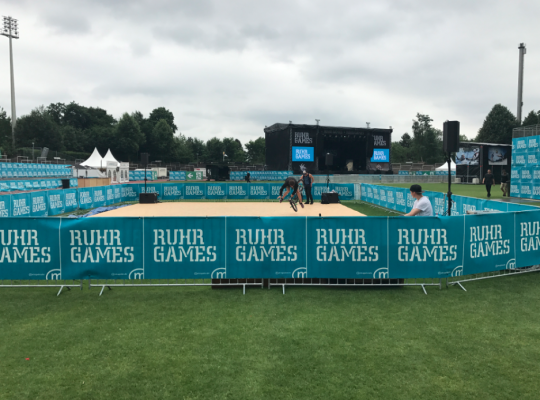 Saturday marked Day 2 of the Ruhr Games for me, and and the first day of the contest. We kicked off with a contest at 12 to get the rider order for Saturday nights semi final which will take 8 riders to the final out of the 11 invited riders. 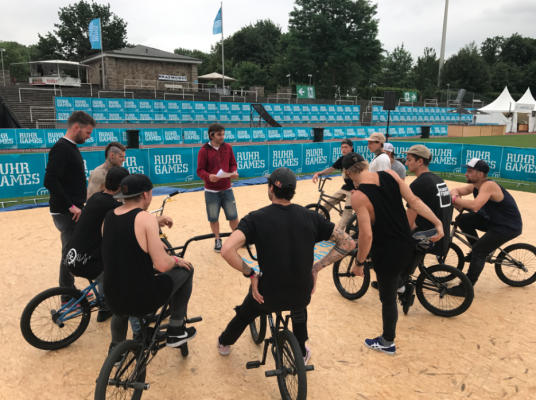 Matthias Dandois rode flawless to take the top spot going into the semis, so he will ride last followed by Dominik Nekolny, Alex Jumelin, Dez Maarsen, Kevin Nikulski, Dustyn Alt, Dan Hennig, Chris Bohm, Dustyn Alt, Markus Schwittal, Barre Neireynck, and Markus Reich. I am typing this at 15:27 on the Saturday, will the order change tonight at the semi finals. 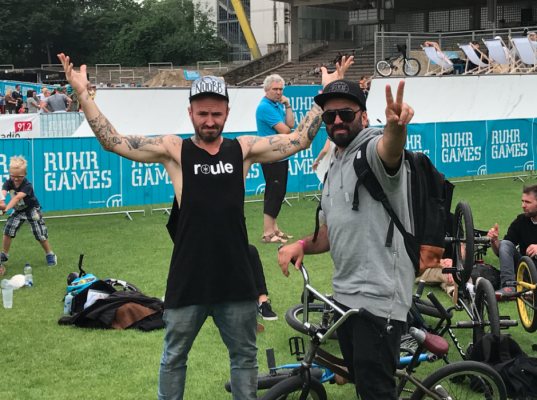 Michael Steingraeber is the man behind the scenes making the flatland happen smoothly, running the clocks, judges meetings, etc etc, and all the details that go to making a great event such as athlete catering which is really dialled, really great set up inside the Borussia Dortmund football ground. Alex Jumelin and Frank Lucas. 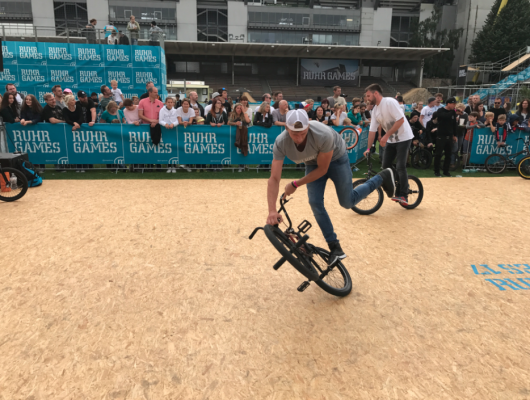 The semi finals were delayed a few hours, because of the breakdancing acts using the same floor. 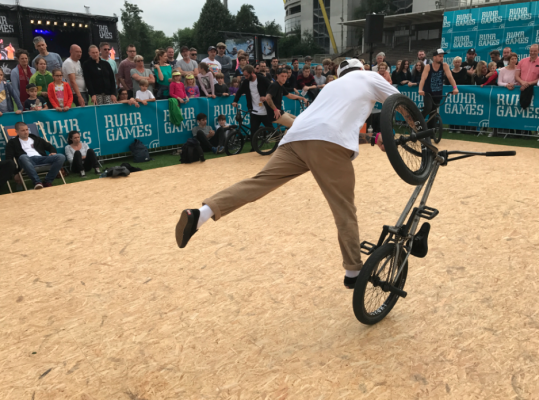 This event really took me back to the Urban Games, same vibe almost completely. It feels like I’m in London and throwing back to the late 90’s/early 2000 era. I mean that in a good way!! Some of the deadtime between practise was a good chance for the riders to catch up with each other, and an ideal photo opportunity. Dustyn Alt and Markus Reich deep in conversation. 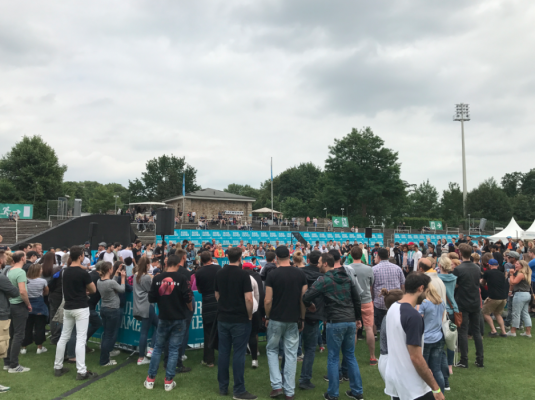 Big crowds for the semi finals, and the atmosphere whilst being really friendly with the riders it was somehow electric. Like I said before semis cut the riders from 11 to 8 for todays finals. After the contest there was an awesome session with Chris Bohm, Dustyn Alt, Matthias Dandois, Alex Jumelin, Dez Maarsen, and Dan Hennig all trying a half cab jump to xft steam line ending in backwards flail. 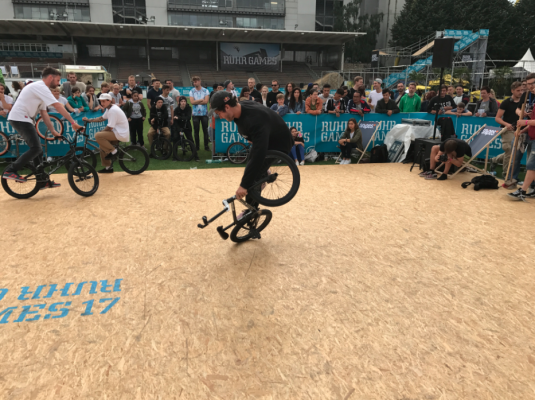 Drinks were flowing, the vibes were amazing between the riders. Such a great time, after we all went out to Vapianos in the city for food and then chilled back at the hotel with a few beers. Such a good day, enjoy the rest of photos. And I hope you enjoyed the breakdown of day 2. Mike S hosting a rider briefing before the first contest yesterday to get the order for semis later on in the day. 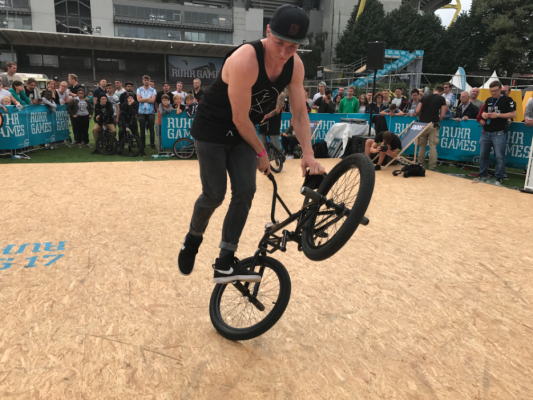 Kevin Nikulski warming up for the semis, backwards spinning xft ice cream. 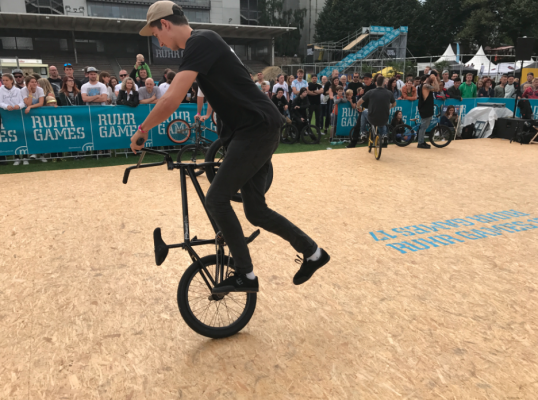 Tallest rider of the weekend, and certainly one of the tallest riders in the whole sport Markus Schwital works the back wheel during semis warm up. 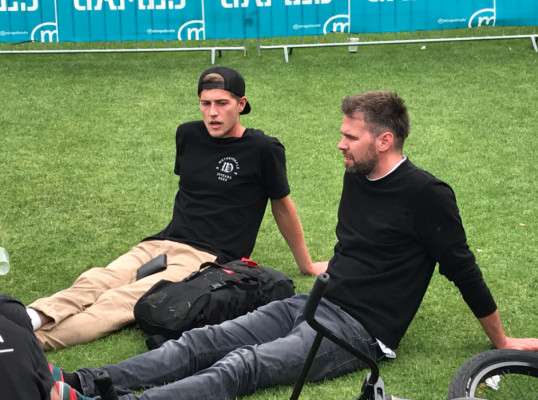 Some of the most technical pivot moves of the weekend belong to this guy, Dez Maarsen qualifying in 4th place going into today final at 2pm. Dan Hennig took the seventh place spot in the semi finals, can he improve on that position today.